With only 9 qualifiers left until the 2 day final in March, 26 anglers competed in this week’s Winter Qualifier fished on Jay and Raven lakes. With the field split between two lakes, the now standard continental payout was in place to ensure a fare payout on the day, with 13 anglers on each lake. Jay lake produced good sport for the majority of the anglers on the day, with the top two anglers putting over 100lbs on the scales. Adam Playford continued his good run of form on the venue, by securing top spot on the lake with a very tidy 115lbs 10ozs from peg 11. Adam caught on bread for most of the match, changing to single maggot to keep the bites coming when the bites on bread dried up. Second place went to Kev Shellie on peg 38, who also fished bread and maggot on the hook for a total weight of 109lbs 02ozs. 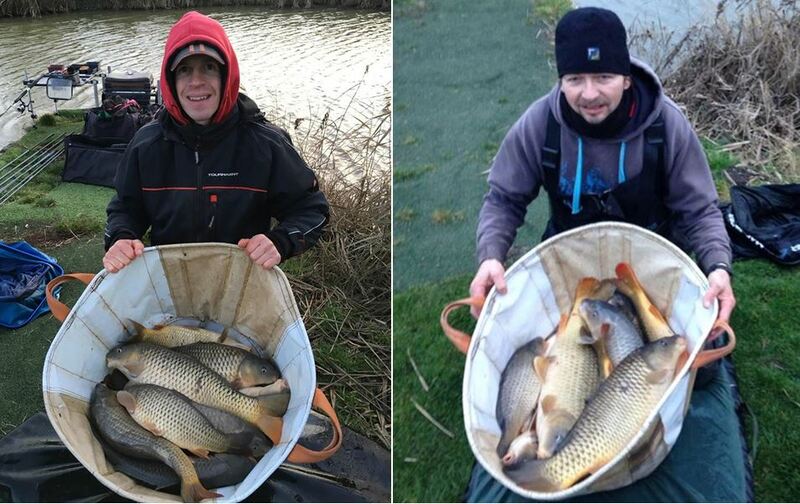 Third on the lake went to Mark Pollard on peg 41 with 54lbs 06ozs, with Jack Gill on peg 2 taking fourth with 44lbs 09ozs. Raven yet again produced a very close and fare match but there were a few hot spots on the lake and the anglers on them took full advantage. 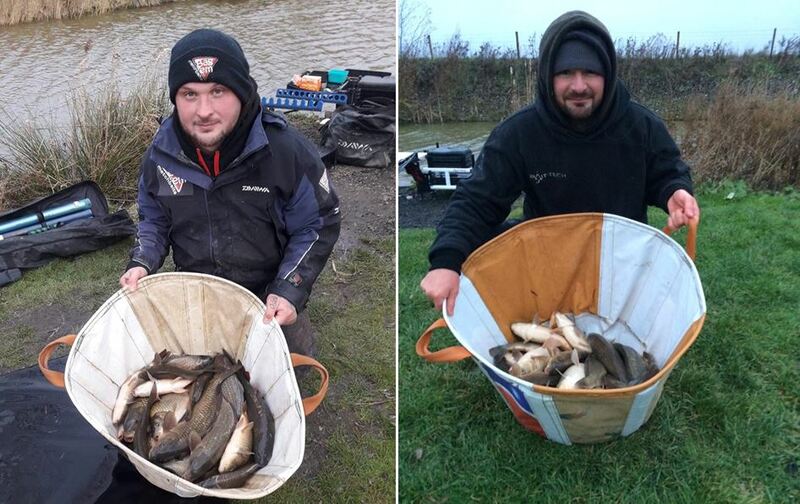 The lake was won with a very impressive 95lbs 14ozs of carp and f1’s caught by Josh Pace from Peg 11. He fished several lines in 2.5ft of water, with maggot on the hook, which enabled him to keep bites coming all day. Second on the lake was Roger Gowler on peg 22, who also fished maggot on the hook to the far shelf at 14m to put 58lbs 06ozs on the scales. Not far behind in 3rd place with 56lbs 06ozs was Tong Mcgregor on peg 7, with Ashley Prestige taking fourth on the lake with 52lbs 02ozs from peg 9. Next Saturdays Winter Qualifier is on Magpie & Raven lakes, draw at the Cafe at 08.45, fish 10.15 til 15.15, all welcome!